The FDA told Johnson & Johnson (JNJ) in 1997 that its request to market the antipsychotic drug Risperdal for children was “without any justification.” In the following years, J&J’s army of pharmaceutical sales reps made 100,000 sales calls on child and adolescent psychiatrists, justifying this by “qualifying” the docs if they had as few as one adult patient exhibiting signs of schizophrenia, according to a lawsuit. It was a distinction only a lawyer can love, and now the Massachusetts attorney general is using it against J&J and its Janssen unit, alleging that J&J’s promotion of Risperdal for children was misleading. To permit the inclusion of the proposed vague references to the safety and effectiveness in pediatric patients and the nonspecific cautionary advice about how to prescribe Risperdal for the unspecified target indications would serve only to promote the use of this drug in pediatric patients without any justification. 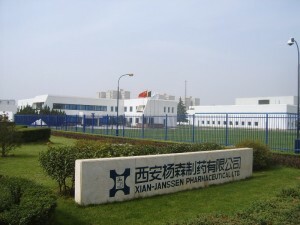 From January 1994 through September 2006, Janssen sales representatives directly promoted Risperdal to thousands of child and adolescent psychiatrists and pediatricians even though Risperdal was not approved to treat any pediatric conditions until October 2006. Doctors were paid $1,000 to attend J&J’s pediatric “advisory board” meetings held at posh resorts, and eventually Risperdal reached a 50 percent share of pediatric antispychotic category, the suit alleges. The Biederman name is familiar to anyone following the Risperdal saga, of course. Joseph Biederman was the Harvard medical school doctor who was paid by J&J to churn out reams of studies promoting Risperdal in kids. He became infamous when he suggested in a deposition that he was one pay-scale below God. BOSTON (Legal Newsline) — Drug manufacturer Ortho-McNeil-Janssen is being sued by Attorney General Martha Coakley for illegally marketing Risperdal, an atypical antipsychotic medication. Coakley’s lawsuit alleges that Janssen promoted the drug to treat elderly dementia and a number of uses in children and adolescents when these uses had not been shown to be safe and effective and had not been approved by the U.S. Food and Drug Administration. The complaint, filed this week in Suffolk Superior Court, further alleges that Janssen failed to disclose serious risks associated with Risperdal’s use, including the risk of excessive weight gain, diabetes and, for elderly dementia patients, an increased risk of death. 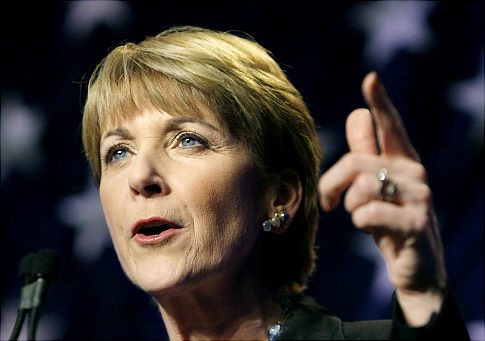 “Manufacturers should not promote uses of their pharmaceutical products that have not been established to be safe and effective,” Coakley said in a statement Monday. * Targeting its sales and marketing efforts to prescribers who rarely, if ever, prescribe Risperdal for its FDA-approved uses, primarily the treatment of schizophrenia and bipolar mood disorder. According to the attorney general’s complaint, Janssen’s illegal marketing and sales tactics helped the company generate hundreds of millions of dollars in sales in the state. Citing company documents, Coakley’s lawsuit notes that these illegal tactics helped make Risperdal a market leader in both the children and adolescent and elderly market segments. The primary promoters–inventors, one might say– of diagnosing children with “bipolar” disorder, who for over a decade, aggressively promoted the biopolar diagnosis and use of antipsychotics in children, were disciplined by Harvard University and its affiliated Massachusetts General Hospital. 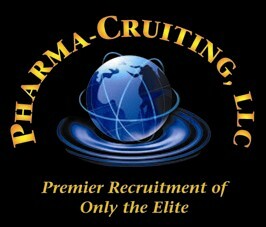 They have also taken millions of dollarrom the drug companies.”The companies that paid them millions include: Eli Lilly, Johnson & Johnson, Pfizer, GlaxoSmithKline and Bristol-Myers Squibb.The Senator brought public attention–and to Harvard University administrators’ attention–the financial conflicts of interest, “Out of concern about the relationship between this money and their research.”Indeed, documents uncovered during litigation confirmed that the research was scientifically corrupt and commercially-driven. 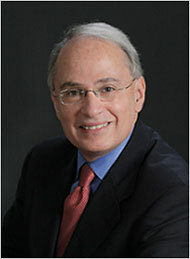 The New York Times reported that Dr. Biederman promised Johnson a& Johnson that a study (yet to be conducted) in preschool children who would be given the company’s antipsychotic, Risperdal (risperidone) “will support the safety and effectiveness of Risperdal in this age group.”“The psychiatrist, Dr. Joseph Biederman, outlined plans to test Johnson & Johnson’s drugs in presentations to company executives. One slide referred to a proposed trial in preschool children of risperidone, an antipsychotic drug made by the drug company. The trial, the slide stated, “will support the safety and effectiveness of risperidone in this age group.”Dr. Biederman was the lead author of a trial published last year concluding that treatment with risperidone improved symptoms of attention deficit and hyperactivity disorder in bipolar children. ”The three wrote a mea culpa letter stating “we want to offer our sincere apologies…” acknowledging “our mistakes…”However, no mention was made anywhere about the profound consequences of these psychiatritsts’ commercially-driven clinical recommendations. No mention about the corruption of the scientific literature, about clinical practice that deviated from the Hippocratic Oath, “First, do no harm,” nor was any mention made about the harm suffered by children whose doctors were misled about the safety and efficacy of highly toxic drugs.Child psychiatrists and pediatricians throughout the US were guided by these exceedingly influential Harvard psychiatrists.As Sen. Chuck Grassley noted in 2008 in the Congressional Record, “they are some of the top psychiatrists in the country, and their research is some of the most important in the field. Once upon a time, antipsychotics were reserved for a relatively small number of patients with hard-core psychiatric diagnoses – primarily schizophrenia and bipolar disorder – to treat such symptoms as delusions, hallucinations, or formal thought disorder. Today, it seems, everyone is taking antipsychotics. Parents are told that their unruly kids are in fact bipolar, and in need of anti-psychotics, while old people with dementia are dosed, in large numbers, with drugs once reserved largely for schizophrenics. Americans with symptoms ranging from chronic depression to anxiety to insomnia are now being prescribed anti-psychotics at rates that seem to indicate a national mass psychosis. It is anything but a coincidence that the explosion in antipsychotic use coincides with the pharmaceutical industry’s development of a new class of medications known as “atypical antipsychotics.” Beginning with Zyprexa, Risperdal, and Seroquel in the 1990s, followed by Abilify in the early 2000s, these drugs were touted as being more effective than older antipsychotics like Haldol and Thorazine. More importantly, they lacked the most noxious side effects of the older drugs – in particular, the tremors and other motor control problems. The atypical anti-psychotics were the bright new stars in the pharmaceutical industry’s roster of psychotropic drugs – costly, patented medications that made people feel and behave better without any shaking or drooling. Sales grew steadily, until by 2009 Seroquel and Abilify numbered fifth and sixth in annual drug sales, and prescriptions written for the top three atypical antipsychotics totaled more than 20 million. Suddenly, antipsychotics weren’t just for psychotics any more. By now, just about everyone knows how the drug industry works to influence the minds of American doctors, plying them with gifts, junkets, ego-tripping awards, and research funding in exchange for endorsing or prescribing the latest and most lucrative drugs. “Psychiatrists are particularly targeted by Big Pharma because psychiatric diagnoses are very subjective,” says Dr. Adriane Fugh-Berman, whose PharmedOut project tracks the industry’s influence on American medicine, and who last month hosted a conference on the subject at Georgetown. A shrink can’t give you a blood test or an MRI to figure out precisely what’s wrong with you. So it’s often a case of diagnosis by prescription. (If you feel better after you take an anti-depressant, it’s assumed that you were depressed.) As the researchers in one study of the drug industry’s influence put it, “the lack of biological tests for mental disorders renders psychiatry especially vulnerable to industry influence.” For this reason, they argue, it’s particularly important that the guidelines for diagnosing and treating mental illness be compiled “on the basis of an objective review of the scientific evidence” – and not on whether the doctors writing them got a big grant from Merck or own stock in AstraZeneca. Marcia Angell, former editor of the New England Journal of Medicine and a leading critic of the Big Pharma, puts it more bluntly: “Psychiatrists are in the pocket of industry.” Angell has pointed out that most of the Diagnostic and Statistical Manual of Mental Disorders (DSM), the bible of mental health clinicians, have ties to the drug industry. Likewise, a 2009 study showed that 18 out of 20 of the shrinks who wrote the American Psychiatric Association’s most recent clinical guidelines for treating depression, bipolar disorders, and schizophrenia had financial ties to drug companies. What’s especially troubling about the over-prescription of the new antipsychotics is its prevalence among the very young and the very old – vulnerable groups who often do not make their own choices when it comes to what medications they take. Investigations into antipsychotic use suggests that their purpose, in these cases, may be to subdue and tranquilize rather than to treat any genuine psychosis. In addition to expanding the diagnoses of serious mental illness, drug companies have encouraged doctors to prescribe atypical anti-psychotics for a host of off-label uses. In one particularly notorious episode, the drugmaker Eli Lilly pushed Zyprexa on the caregivers of old people with Alzheimer’s and other forms of dementia, as well as agitation, anxiety, and insomnia. In selling to nursing home doctors, sales reps reportedly used the slogan “five at five”—meaning that five milligrams of Zyprexa at 5 pm would sedate their more difficult charges. The practice persisted even after FDA had warned Lilly that the drug was not approved for such uses, and that it could lead to obesity and even diabetes in elderly patients. For the drug companies, Shahrman says, the decision to continue pushing the drug despite side effects is matter of cost benefit analysis: Whether you will make more money by continuing to market the drug for off-label use, and perhaps defending against lawsuits, than you would otherwise. In the case of Zyprexa, in January 2009, Lilly settled a lawsuit brought by with the US Justice Department, agreeing to pay $1.4 billion, including “a criminal fine of $515 million, the largest ever in a health care case, and the largest criminal fine for an individual corporation ever imposed in a United States criminal prosecution of any kind,”the Department of Justice said in announcing the settlement.” But Lilly’s sale of Zyprexa in that year alone were over $1.8 billion. As it turns out, the atypical antipsychotics may not even be the best choice for people with genuine, undisputed psychosis. In two years, Florida bought hundreds of thousands of tablets of Seroquel, Abilify, Risperdal and other antipsychotic drugs for children housed in state-run jails and programs. The meds were administered in a juvenile justice system that doesn’t track prescriptions and has no way of telling whether doctors are prescribing to make kids easier to control. In some jails and homes, pills were prescribed by psychiatrists who took huge speaker fees from companies that make antipsychotic drugs, The Post found. In others, the task fell to doctors with troubled pasts. In response to the newspaper’s first reports, published last month, DJJ Secretary Wansley Walters launched an investigation into the department’s use of antipsychotic drugs. DJJ officials declined to discuss The Post’s latest findings, citing the probe. Spokesman C.J. Drake acknowledged, though, that the department has struggled to find psychiatrists willing to work in jails and programs. He also said DJJ sometimes has relied on companies that employ a stable of doctors, rather than signing a contract with a single physician. As a result, Dorval went to work in a Broward County jail for children – even though he would have failed a state-mandated background check required by the contract. In the late 1990s, Dorval claimed he was providing juvenile delinquents and other vulnerable children with needed therapy. Instead, state investigators said, he used bogus counselors to bill Medicaid for more than $350,000 in fraudulent claims. He charged the government for offering more than 24 hours’ worth of children’s therapy in a single day, investigators said, and structured the scheme around kids who were homeless or in DJJ custody or foster care. He tended to bill “for those children that the system ‘lost,’ ” according to an affidavit for his arrest. Originally charged with four felonies in Broward, Dorval pleaded no contest to one count of grand theft in 2004. Later, to keep his medical license, he agreed to pay $10,000 and was suspended, reprimanded and put on four years’ probation. Although a judge withheld a formal finding of guilt, the plea disqualified Dorval from seeing patients in a juvenile jail. Even so, his employer, Miami-based Compass Health Systems, sent him to work at the Broward Juvenile Detention Center between August and December 2007. No one screened his background beforehand. In written responses to questions, Dorval said he was doing as he was told when Compass sent him to work in the Broward juvenile jail. DJJ officials declined to comment on Dorval’s hiring, again citing the investigation. Compass officials didn’t respond to questions about Dorval. DJJ had no contract with Compass as of May, records show. In state-operated jails and programs, the rules say DJJ must screen doctors’ backgrounds and verify that physicians’ hold valid medical licenses. In privately run programs, which house the majority of children in the department’s custody, that responsibility falls to contracted companies. Such screenings don’t catch everything: Doctors who kept their licenses after the state accused them of serious lapses have gone on to work in juvenile jails and homes. Dr. Charles J. Dack is an example. For six years, Dack, a Lakeland-based physician who is board-certified in addiction and child psychiatry, prescribed a cocktail of antidepressants and powerful painkillers, including methadone and morphine, to a patient named Mary Tuxbury. Eventually, Dack ramped up the doses of pills Tuxbury was taking, keeping her “at a toxic level of morphine for approximately two and a half years,” regulators from the state health department said. In March 2002, Tuxbury was found dead. She was 42. Regulators charged Dack with failing to meet care standards and inappropriate prescribing. Dack settled the allegations in August 2007. He admitted no wrongdoing but agreed to pay a $7,000 fine and complete a course on “misprescribing” drugs. A year later, he was hired to care for children at three privately run programs in Central Florida: Wilson Youth Academy, Peace River Youth Academy and New Beginnings Youth Academy. He worked in the homes until April. Dack didn’t respond to messages seeking comment. Other DJJ doctors weren’t cited by regulators, but they were accused in court of fatal neglect. Roughly one in eight of the psychiatrists who have worked for DJJ in the past five years has settled a malpractice lawsuit in Florida, records show. Among these was Dr. Samuel McClure. As a psychiatrist in Orlando, McClure diagnosed an 11-year-old boy named David Morganthal with attention deficit disorder. He prescribed powerful, mind-altering drugs for David – even though the child was much smaller than other kids his age, according to court documents. One morning in November 2001, David’s mother woke to find her son dead on the floor of her double-wide mobile home. When they laid David out at the morgue, he measured less than 4-foot-2 and weighed 49 pounds. Lab tests showed his blood contained an unusually high concentration of an antidepressant: about 60 percent more of the medication than doctors had expected. The drug, mirtazapine, still hasn’t been approved as safe for children. David was taking the drug along with another antidepressant that hasn’t been approved for kids, citalopram. Pharmaceutical companies have recently paid out the largest legal settlements in U.S. history — including the largest criminal fines ever imposed on corporations — for illegally marketing antipsychotic drugs. The payouts totaled more than $5 billion. But the worst costs of the drugs are being borne by the most vulnerable patients: children and teens in psychiatric hospitals, foster care and juvenile prisons, as well as elderly people in nursing homes. They are medicated for conditions for which the drugs haven’t been proven safe or effective — in some cases, with death known as a known possible outcome. In a presentation this week at an American Psychiatric Association meeting, Dr. John Goethe, director of the Burlingame Center for Psychiatric Research in Connecticut, reported that over the last 10 years, more than half of all children aged 5 to 12 in psychiatric hospitals were prescribed antipsychotics — and 95% of these prescriptions were for second-generation antipsychotics. Many of these children didn’t have a condition for which the drugs have been shown to be helpful: 44% of youngsters with post-traumatic stress disorder (PTSD) and 45% of children with attention deficit hyperactivity disorder (ADHD) were treated with them. Pharmacologically, the ADHD prescriptions make no sense: FDA-approved drugs for the condition raise levels of the neurotransmitter dopamine, while antipsychotics do they opposite, lowering them. Among the problems with unnecessary use of antipsychotic medications is that they can cause serious, sometimes irreversible, damage. Atypical antipsychotics are associated with weight gain and may double users’ risk of Type 2 diabetes. Recent research also suggests that they may shrink the brain and there is little data on how they affect brain development during the teen years, when the brain grows more than at any other time but infancy. Indeed, youth are more vulnerable than any other group to the drugs’ worst side effects (excluding death). Meanwhile, rates of prescriptions for patients at the other end of the lifespan are also out of control. In nursing homes, 14% of residents have been given at least one prescription for a second-generation antipsychotic, according to a government investigation. A full 88% of these prescriptions are given to people with dementia, despite the fact that these drugs may double the risk of death in these patients (there is a black box warning on the drug to this effect). The investigation estimated that $116 million Medicare dollars have been spent filling antipsychotic prescriptions that never should have been written. So why are these drugs so widely prescribed? Aggressive drug company marketing is only one part of the story. A key reason they are overused in institutional settings is that they are sedating, making patients easier to manage. Secondly, unlike other sedative drugs, they are not associated with misuse (with the possible exception of Seroquel, which has fans among some addicts). In fact, most people resist taking antipsychotics, which is why overmedication is much more common in settings where people are locked-in and compliance can be forced. The second point — that these drugs are not considered addictive — by itself probably accounts for a big part of why drug companies have been able to get away with so much misleading marketing and the resultant overprescribing. Although prescribing of traditional sedatives like benzodiazepines (Valium, Xanax), which are vulnerable to misuse, is limited by their status as controlled substances, few people enjoy misusing antipsychotics (side effects like weight gain, pleasurelessness, movement disorders and low energy and motivation are not generally sought by recreational drug users), so they can be prescribed for unapproved uses like behavior control and sleep-inducement in children and the elderly. In other words, addiction is basically seen as a worse side effect than death. The fact that the most vulnerable youth and elderly often cannot advocate for themselves has made it easier to sweep the problem under the rug. DETROIT — Frustration over her physically impaired daughter’s medical care led Maryanne Godboldo to lash out at what she considered state interference and into a 12-hour standoff when Detroit police came to take the girl away. When it ended, the unemployed mother was in handcuffs; her daughter placed in a psychiatric hospital for children. Godboldo now is locked in a bitter battle with Michigan’s Department of Human Services over her right to determine whether the girl should continue taking the anti-psychotic drug Risperdal and the government’s responsibility to look after the child’s welfare. Godboldo doesn’t trust doctors much – she blames some of the girl’s past medical problems on possible physician negligence and complications from childhood immunizations, but did not name the doctors or release her daughter’s medical records to The Associated Press. She claims the girl has responded better to holistic treatment that does not include Risperdal. But the state is not budging on its assertion that without the proper medication, Ariana is at risk. “Our mandate is to go into court and prove there is medical neglect,” said Human Services Director Maura Corrigan, who declined to speak directly about Godboldo’s case due to the ongoing court proceedings. “Is there harm to the child? That’s what we are trying to assess,” Corrigan told the AP in a recent interview. A defiant Godboldo still believes she was right to defy police, despite five days in jail and criminal charges, including discharge of a firearm, three counts of assault with a dangerous weapon and resisting officers. “I was in my home. Why should I come out? They were invading my home,” Godboldo said. Citing the charges, Godboldo declined to say if she fired a gun when police arrived at her home March 24. But officers said a gun and about 43 rounds of live ammunition were in the house, and a spent shell casing was found after the standoff, according to court records. Ariana also was in the house. Ariana already had her share of medical troubles when Godboldo started giving her Risperdal more than a year ago at a doctor’s suggestion. She had lost her right leg below the knee as an infant and wears a prosthesis. Godboldo claims she also developed encephalitis, or inflammation of the brain, before entering 6th grade. She said her daughter complained often of being dizzy and had a hoarse voice, became more clingy and fearful, and avoided playing outside. “It happened slowly at first, but it was enough to know when your child makes a change,” Godboldo said. She sought help at a Detroit area center. Staff there put Ariana on a treatment plan that included Risperdal, said Allison Folmar, one of Godboldo’s attorneys. Child Protective Services in its petition wrote that Ariana was diagnosed with “psychosis NOS,” or “not otherwise specified,” Folmar said. “They are saying ‘it’s something going on in her head, but we don’t know what it is,’” the attorney added. But Godboldo balked at a suggestion that her daughter be placed in a mental hospital. She took the girl’s treatment to another center. She also decided to wean her from Risperdal, which sometimes is used to treat schizophrenia. 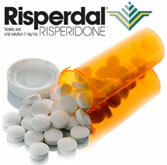 Risperdal often is used to contain behaviors like aggression and even treat autism, said Derek H. Suite, a board certified psychiatrist and president and chief executive of Full Circle Health in the Bronx, N.Y. Risperdal use has shown dramatic reductions in psychotic symptoms, but there can be side-effects, he added. After Godboldo’s confrontation with police, Ariana spent about a month in a children’s psychiatric facility. She now is living with Godboldo’s sister, Penny. A judge has ordered that other adult relatives be present when Godboldo visits with her daughter. It’s not unusual for parents and the state to be at odds over what’s best. Two Idaho parents lost a civil lawsuit last year when a judge ruled their rights were not violated by an officer who took custody of their infant daughter so a doctor could check for signs of meningitis. Dale and Leilani Neumann of Wisconsin were convicted of reckless homicide following the 2008 death of their 11-year-old daughter, whose undiagnosed diabetes was treated with prayer instead of conventional medicine. After Godboldo refused to attend a meeting with Child Protective Services, officers arrived at her home to remove Ariana. Godboldo claimed they never showed her a court order. Detroit police declined to comment about the case “because of the litigation involved,” Sgt. Eren Stephens said in an email. When Godboldo refused to allow police in, the officers tried to force their way through a side door but backed off after hearing a gun shot, court documents said. Johnson & Johnson could be on the hook for about $1 billion to settle the government probe into its Risperdal marketing. Prosecutors are looking for a settlement about that size, the Wall Street Journal reports, citing sources. That would be the third-largest marketing settlement between a Big Pharma company and the U.S. government; only Pfizer and Eli Lilly have made larger deals with the feds. Earlier this week, J&J disclosed to the SEC that it had set aside an unspecified amount to cover a potential Risperdal settlement. The company had already taken a $1.4 billion charge against first-quarter earnings to cover legal costs. The WSJ says J&J officials were surprised that prosecutors were pressing for such a large settlement. Prosecutors are trying to put a settlement of Risperdal marketing claims into context, using as a benchmark Lilly’s $1.4 billion deal to resolve a Zyprexa marketing probe. The difference between the two was that Lilly’s alleged violations extended over a longer period of time, the WSJ source said. 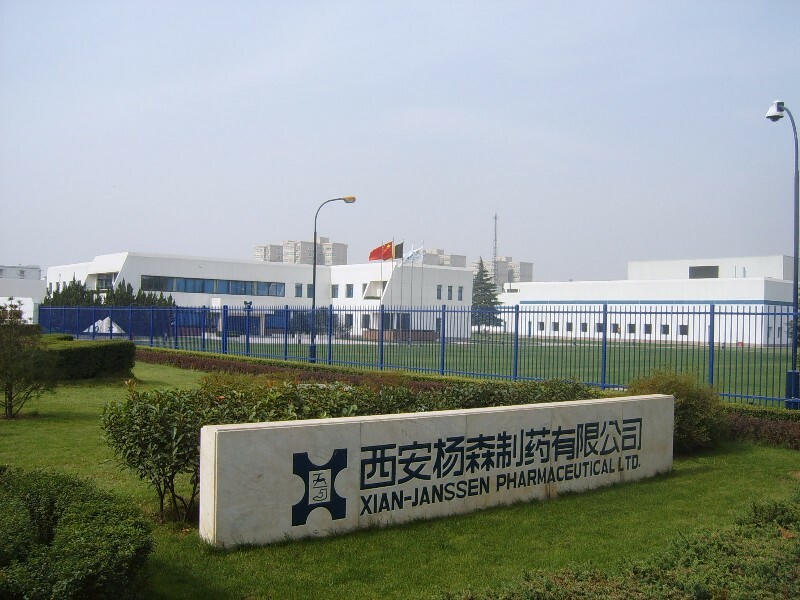 The particular allegations against J&J haven’t been disclosed. The Justice Department has settled a number of marketing cases against Big Pharma over the last several years, and the pace of those deals increased last year. Drugmakers together have paid more than $10 billion to settle government probes; in 2010, the industry’s whistleblower settlements topped the Justice Department charts. However, no mention was made anywhere about the profound consequences of these psychiatritsts’ commercially-driven clinical recommendations. No mention about the corruption of the scientific literature, about clinical practice that deviated from the Hippocratic Oath, “First, do no harm,” nor was any mention made about the harm suffered by children whose doctors were misled about the safety and efficacy of highly toxic drugs. Child psychiatrists and pediatricians throughout the US were guided by these exceedingly influential Harvard psychiatrists. A serious conversation is under way in the United States on the subject of psychiatric drugs. 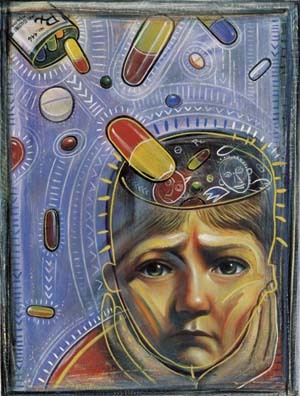 The debate consists of three fundamental issues: first, whether antidepressants actually treat depression; second, the vast, growing body of evidence that psychotropic medications alter the brain permanently; and third, the pharmaceutical industry’s continuing, decades-old corruption of American psychiatrists, many of whom have been made by drug companies’ shenanigans into little more than handsomely paid industry shills. A careful questioning of these issues written by the spectacularly decorated Harvard Medical School lecturer Dr. Marcia Angell appeared as a two-part essay published earlier this summer in The New York Review of Books. In addition to holding a medical degree from Boston University School of Medicine and undergraduate diplomas in both chemistry and mathematics, Angell is a Fulbright Scholar, a board-certified pathologist, author of two books, a member of numerous professional health care associations and a retired 20-year staffer at the New England Journal of Medicine, which she ultimately left as editor-in-chief. The recent publication of three books, each of which takes up one of the issues raised above, provided the occasion for Angell’s essay. In it, she argues convincingly that antidepressants are not known to do what drug companies and many psychiatrists say they do. It is this claim that drew the attention of practicing psychiatrist and Brown University professor Dr. Peter D. Kramer, who in a New York Times commentary published last Sunday questioned some but not all of what Dr. Angell wrote. Read Part 1: The Epidemic of Mental Illness: Why?